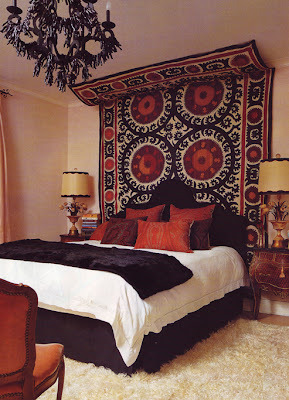 Loving the use of suzanis in these rooms. 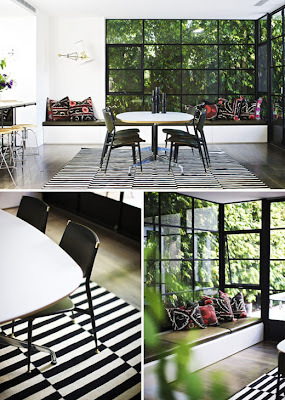 Beautiful black and white dining area by Pip McCully with gorgeous windows and lots of suzani pillows popping some color on the window seat. 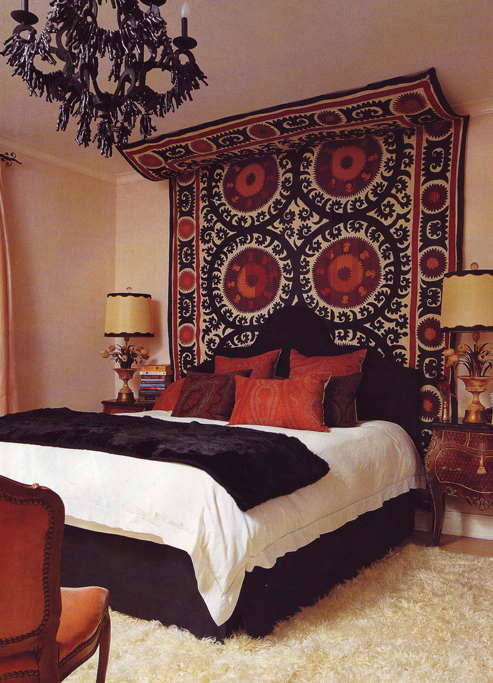 And a stunning dramatic bedroom by Marjorie Skouras with a suzani as a canopy and headboard.